Back in August of 2016, Young Thug released a 10-track album titled No, My Name Is Jeffrey. 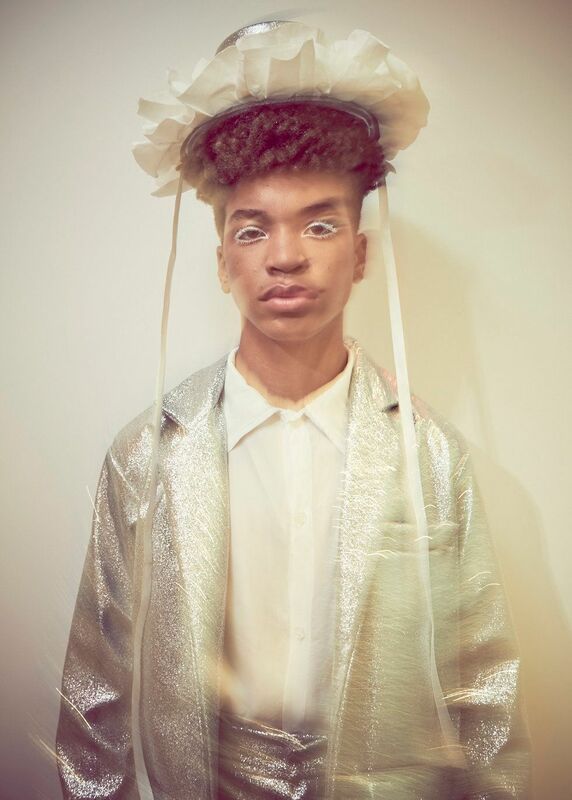 Later renamed JEFFREY, the record's Garfield Larmond-shot cover featured the rapper in a frothy baby blue skirt, white button-down shirt, and a conical pleated hat by Italian designer Alessandro Trincone. Introduced to the designer by VFILES founder Julie Anne-Quay, Young Thug — who was a 2016 VFILES mentor — immediately fell for Trincone's delicate pleating, chaotic draping, and soft sense of color. These elements resurfaced today at his spring 2019 show in New York, which focused on sensitivity and unbridled self-expression. 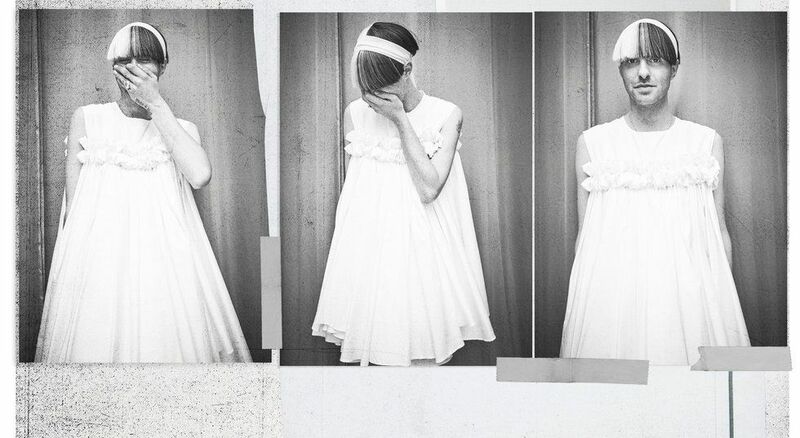 With the white shirt as a foundational garment, Trincone sent tiered ruffle dresses, glittery suiting, and A-line tunics reminiscent of 18th and 19th century unisex children's clothing down the runway. The latter felt particularly fitting for the collection's commentary on shedding toxic masculinity and embracing one's unedited self. Before little boys grow up and socialize into hardened men, their genderless characteristics express a blissful versions of their truest selves. Trincone backstage at his spring 2019 runway show. Trincone, who's previously spoken out about his struggle to break through conventional gender distinctions, appeared backstage in a sleeveless white, gathered and ruffled tunic that radiates the sense of strong-willed individuality that permeates his collection.